The British Came and So Did the Competition! 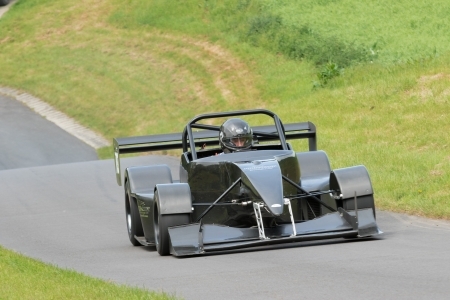 Gurston Down Speed Hill Climb hosted the first of this year’s two visits by the British Hill Climb Championship. 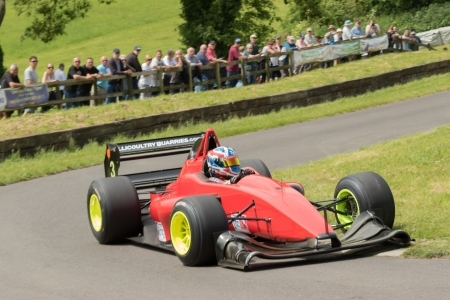 Both the Avon Tyres / TTC Group MSA British Hill Climb Championship and the Avon Tyres / TTC Group MSA Hill Climb Leaders Championship were competing on the hill. Saturday May 27th was practice day. Those who camped were treated to an amazing thunder and lightening show during Friday night but the consequence was a rather damp course in the morning. Fortunately, first practice was uneventful. During the day, the weather improved and so did the times. By the end of the afternoon practice session there were some interesting times being posted. Sunday morning practice was another damp start. The track was cold and visibility changed by the minute. By the first timed runs there was more heat in the track and the air. The weather forecast suggested that the afternoon runs might be affected by rain, which had been predicted as heavy on Saturday ended as a little drizzle. The highlight of the Sunday were the two Top Twelve Run-Offs. More on those later. The BARC South West B Licence Class ran first. The class had a huge variety of cars and drivers. 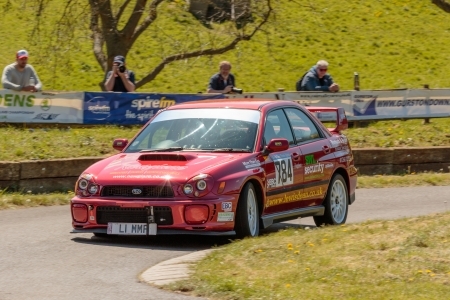 Martin Watson’s Westfield overcame Sarah Fudge and the Impreza she shares with Shaun to take the win. Sarah’s time was a personal best at 37.52s. Gordon Weston and his Porsche 924 also had a good day, his first 40 second run, 40.93s, another personal best. 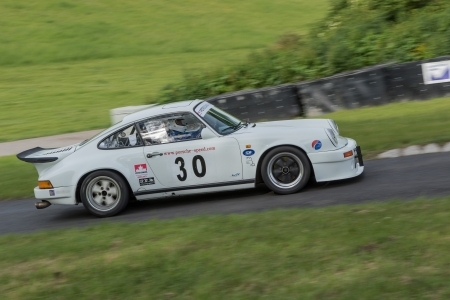 The Porsche Club’s National Championship Class was as competitive as ever. Andrew Norris and his 911 Carrera took the class win, finishing on 34.58s, with Peter Turnball’s 911 GT3 and Tim Barber’s, 996, 911 GT3 RS taking second and third respectively, both within three-quarters of a second on Andrew’s time. 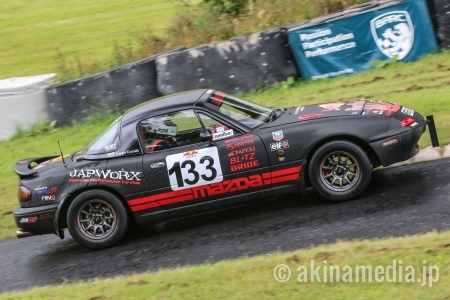 The Gurston Down Mazda MX5 Class, supported by DoctorMX5 went next. There were just two entrants. A fabulous performance by Jason Richardson, 41.15s, less than 0.20s off the class record, on his first timed gave Nick Revels, our newly appointed Competition Secretary, an impossible mountain to climb. Jason’s second timed run was a little more eventful and he couldn’t improve on the time. The Road Going Series Production Class up to 2000cc, supported by Record-Designs ran next. 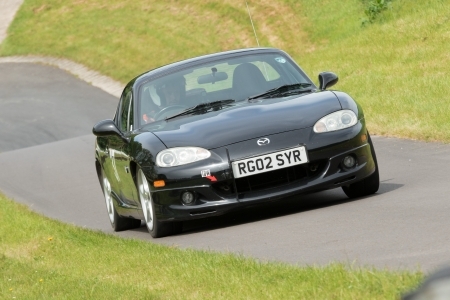 Dean Cubitt’s new A licence allowed him to transfer from the B Licence event and add his quick Mazda MX5 to the mix. Tim Forster and the gorgeous Lotus Elan took the win with a 38.42s second timed run but he was pushed all the way to the line by Richard Brant and the Clio 172 and Dean who finished second and third respectively on 39.04s and 39.67s. The over 2000cc Road Going Series Production Class, supported by Turbo Dynamics went next. Andrew James and his Nissan 350Z made huge improvements during the weekend but just couldn’t catch the Subaru of Shaun Fudge. Shaun stopped the clocks on 37.09s and Andrew on 38.96s. Both of these cars are beautifully presented. Next up was the Fieldfare Trailer Centre supported Road Going Specialist Production Class. 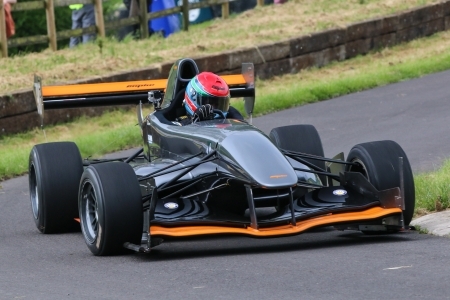 Adrian Lewis and his Westfield Superbusa produced an outstanding performance. Adrian’s first timed run of 34.63s, left everyone else in his wake! The up to 1400cc Modified Series Production Class saw Neil Turner first timed run produce a 35.27s run. That run was just 0.05s shy of his existing class record. But he didn’t have it all his own way, Eric Morrey and the Hillman Imp finished just 0.67s behind. 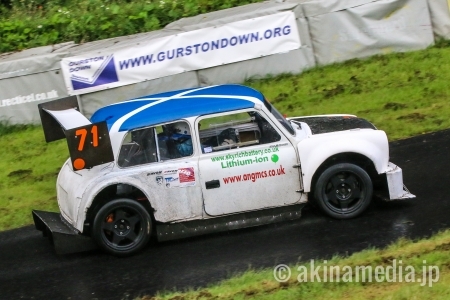 Richard Wood had a good weekend in the Modified Series Mini Class. 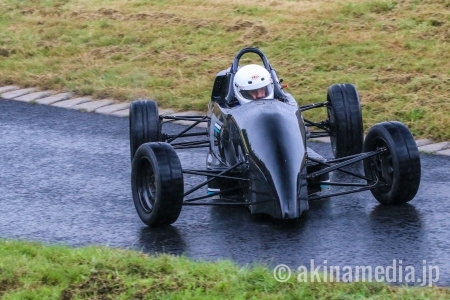 His Yamaha powered car managed a 40.47s first timed run. 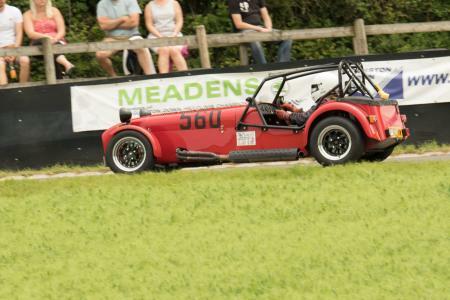 The over 2000cc Modified Series Production Class, supported by Meadens Skoda ran next. 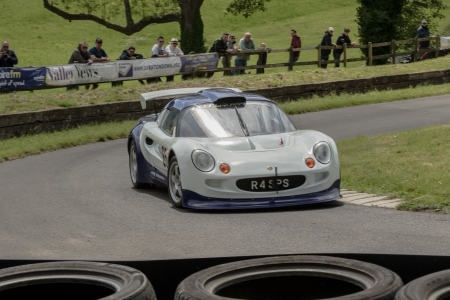 Former Gurston champion, Simon Purcell in his Lotus Elise lead from the first timed runs but with competition from Mark Walker’s Porsche Cayman and Jeff Twemlow’s Subaru Impreza, it wasn’t a sure thing. Simon’s first timed run of 34.48s saw off Mark and Jeff who finished second and third on 35.31s and 35.44s. 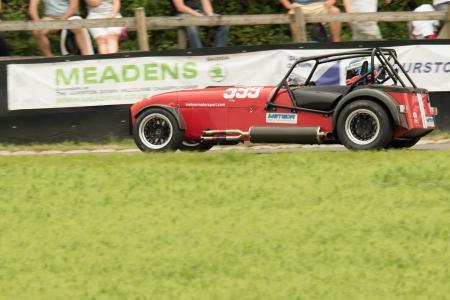 Mike Rudge ended up on his own in the over 2000cc Modified Specialist Production Class, supported by Gates of Brokenhurst. His second timed run was a significant improvement on the first and he ended the day on 31.97s. That time was just 0.33s off the class record. The Historically Interesting Class, supported by Kalvin Jouhar ran next. Fyrth Cross and his Ensign LNF3 pretty much stamped his authority on the class after the first timed run, stopping the clocks on 33.77s. It was left for the other entrants to fight for second. The gorgeous Chevron B19 of Richard and Amanda George, in Amanda’s hands came home next on 36.57s just 0.03s in front of Richard. The Sports Libre up to 2000cc Class, supported by Lewis Property Services saw the super quick, supercharged Force LM shared by Jonathan Gates and Peter Sexton take the win. Although only Peter managed a run before the Force decided to dump it’s oil in the finish holding paddock. This left the WEV HCS of Keith Diggle to take second. A great result since he has swapped classes this season by re-joining the up to 2000cc class. Peter’s time was 30.26s and Keith’s 32.41s. Allan McDonald and his Mini Evo had the Sports Libre over 2000cc Class, supported by Berazzi Wheels, to himself. He managed a 32.31s run. 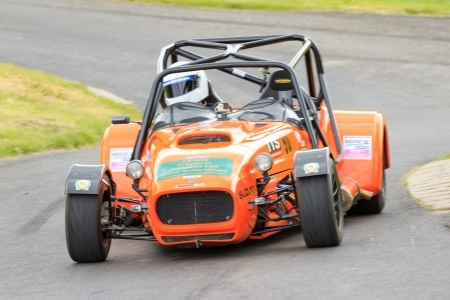 The 26 entrants in the 601cc to 1100cc Racing Car Class, supported by Drynham Project Management Limited ran next. As predicted the class was extraordinarily close. This time there were eleven car and driver combinations within one second of the winning time! Harry Pick had a fantastic first timed run in his OMS finishing on 30.02s, with Simon Fidoe and his Empire Waith second on 30.11s and Steve Owen in the works OMS third on 30.24s. 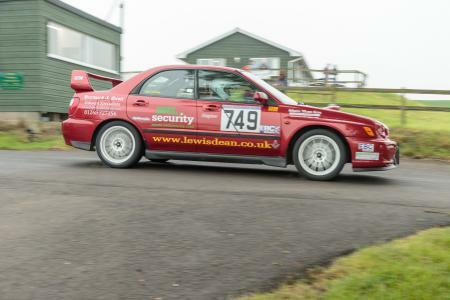 Adam and Andy Greenen, Gurston regulars in the Road Going class, with their new Empire Evo 2 finished 7th and 13th respectively. It will be interesting to see how they progress this season. Roll on August! 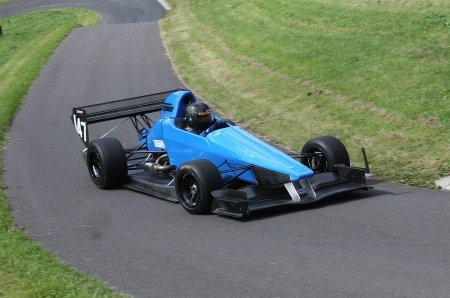 The 1101cc to 1600cc Racing Car Class, supported by SM AeRoTechniques with Brian and Adrian Moody ran next. This class was as hotly contested as the 1100cc class. The first five covered less than one second. Ed Hollier and his amazing Empire Evo ended up on top with a 28.46s in the first timed run which was good enough to qualify for the first Top Twelve Run-Off. Richard Spedding and the GWR Raptor came second with a great first timed run which also lead to a Top Twelve Run-Off place. Les Mutch and his GWR Raptor was third just missing out on the qualification time. 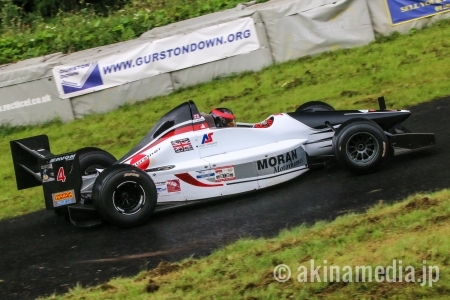 Simon McBeath was favourite in the Formula Ford Class, supported by Basil and Lorraine Pitt. Simon had stiff competition but put some great runs together. His first timed run was enough to give him victory in the Swift SC92F. The next three places were separated by just 0.11s. Richard Summers’s 37.49s first run, held off Nev Rollason and Mark Alley who were third and fourth with 37.59s and 37.60s. 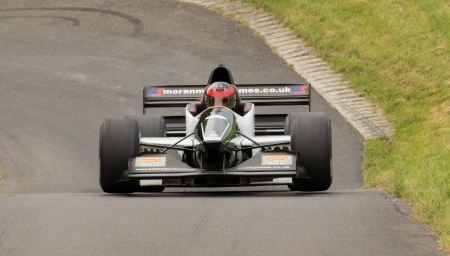 The 1601cc to 2000cc Racing Car Class – Normally Aspirated – was won by Tim Elmer and the Dallara. His time 29.98s left Tricia and Terry Davies and their shared OMS to fight for third. Terry couldn’t overcome Tricia’s slim first timed run advantage. Tricia finished on 31.17s and Terry 31.47s. 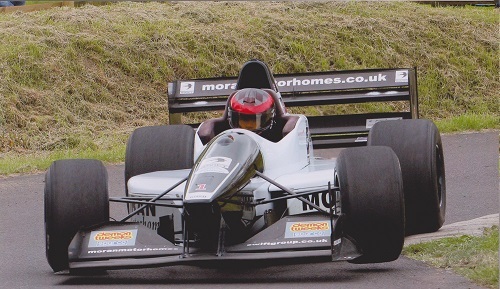 The 1601cc to 2000cc Racing Car Class – Forced Induction – was won by Paul Haimes and his Gould GR59 on the first timed run. Paul also qualified for the Run-Off. Paul’s car suffered mechanical issues during the first Run Off as it had done all weekend. 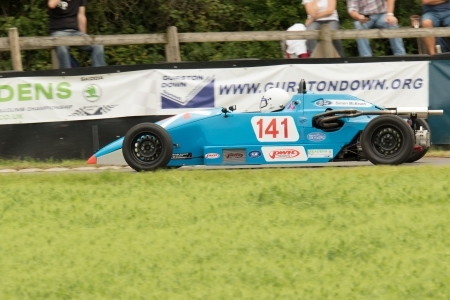 Kelvin Broad and the Pilbeam MP101 was second with 28.69s. The Over 2000cc Racing Car Class was close. With almost all of the drivers wanting to qualify for the Run-Offs, no-one was taking any prisoners! The new GR59b of Wallace Menzies won the class but it was close. The next five were all withion one second of his time of 26.49s. Then it was the turn of the Lotus 7 Club Championship. The Lotus 7 Club Championship Class 1 – Cars Up to 125 bhp – had one entry, so Paul Boston’s 38.53s first timed run secured victory! 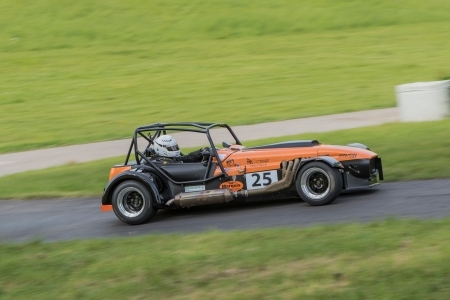 The Lotus 7 Club Championship Class 2 – Cars up to 150 bhp – List 1A Tyres – This competitive championship always produces close results and Class 2 wasn’t an exception. Robert Jacobs, Andrew Willoughby and Graham Howard, ended up first second and third respectively just separated by 0.13s. Robert finished on 37.39s, Andrew on 37.46s and Graham on 37.52s. The Lotus 7 Club Championship Class 3 – Cars up to 150 bhp – List 1B Tyres – swa Richard Price take the win but by just 0.03s from Daniel Malkin, reversing the fortunes of last year. 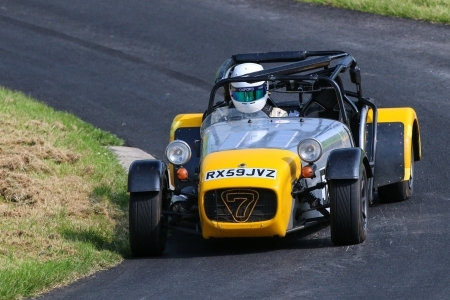 The Lotus 7 Club Championship – Class 4 – Car up to 210 bhp – Jeremy Davis was the only entrant in his R300 and ended up on 35.82s. 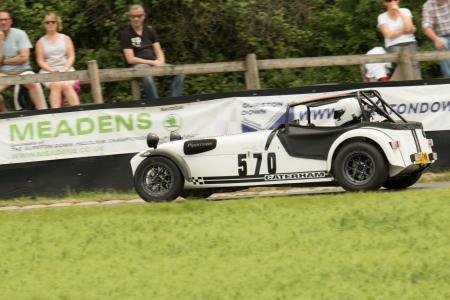 The Lotus 7 Club Championship – Class 6/7 – saw a new class record in the first timed run. Simon Rogers’s 31.59s run beat the existing record held by Simon Jenk’s by 0.31s. Simon didn’t manage a second timed run. 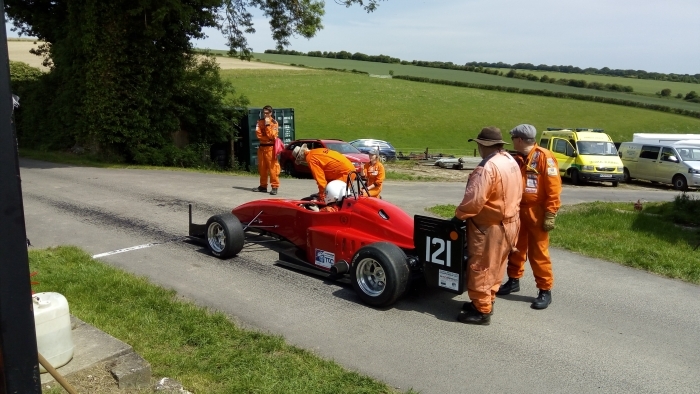 Championship Leader, Trevor Willis (OMS 28) took the first run-off with a solid 26.22s run which was enough to keep former champion Scott Moran (Gould GR61X) and Wallace Menzies (Gould BG59b) at bay. The first five were all within one second of Trevor who won Fastest Time of the Day with this run! Current Champion, Scott Moran, turned the tables on Trevor Willis in the second run-off. Wallace Menzies finishing third, Will Hall (Force) and Alex Summers (DJ Firestorm) were fourth and fifth, just as they finished in the first run-off. Another great weekend’s Hill Climbing at Gurston Down! We would like to thank everyone who made the day possible, the office staff, the marshals, timekeepers, scrutineers and officials without whom we couldn’t run the meeting. Thanks to Ashley Wood Recovery, TSL Timing, Insight Medical Services, Insight Security, Peter Crutcher from Ringwood PA and the Hitchings Partnership. 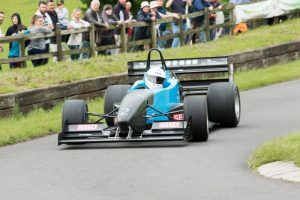 The weekend of Saturday May 27th and Sunday May 28th see the first of the two visits to Gurston Down Speed Hill Climb by the British Hill Climb Championship. 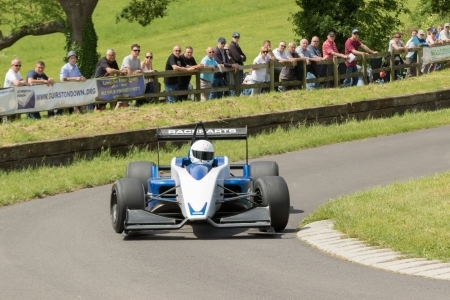 Both the Avon Tyres / TTC Group MSA British Hill Climb Championship and the Avon Tyres / TTC Group MSA Hill Climb Leaders Championship come to the hill. 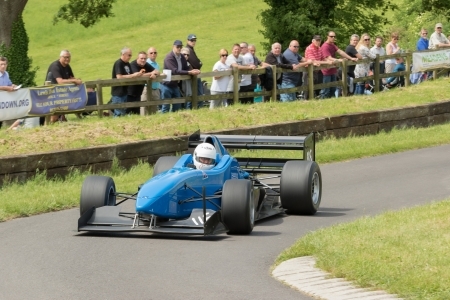 The weekend brings some of the fastest cars and drivers in British Hill Climb. 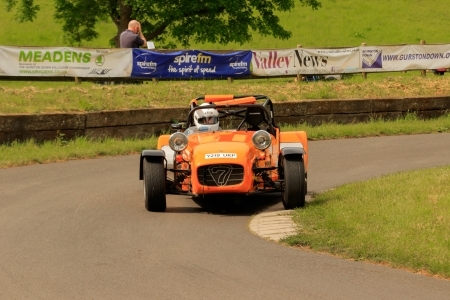 They will pit their wits against each other, the clock and the fast, twisty course at Wiltshire’s famous Speed Hill Climb Venue. 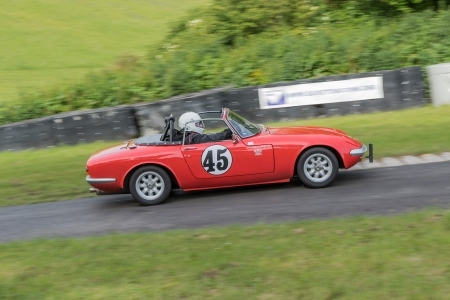 There will be over 130 cars and drivers competing in everything from standard road cars, specially prepared hill climb cars and spectacularly fast fast sport and single seat racing cars. 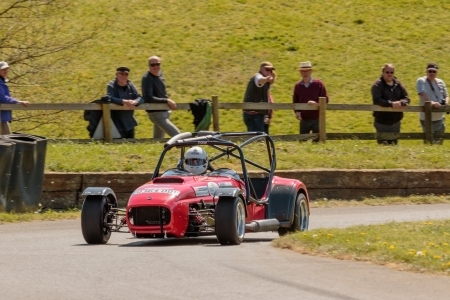 Spectators have fabulous unrivaled access to the hill, paddock and facilities. We have excellent catering and refreshments on site too. You really can’t get closer to the action! Saturday May 27th is practice day. There will be three practice runs, starting around 09:00 with two runs in the morning and one after lunch, usually finishing around 15:00. On Sunday there will be an early morning practice, starting around 09:00 followed by one timed run before lunch and the first of two top twelve run-offs. Then after lunch the second timed runs are followed by the second top twelve run-off. The Top Twelve Run-Off allows the fastest twelve registered competitors to take an additional run, after which the fastest ten score points for the British Championship. Ten points for a win, down to one for tenth. These run-offs ultimately determine who becomes the British Champion! The current leader in the championship is Trevor Willis. 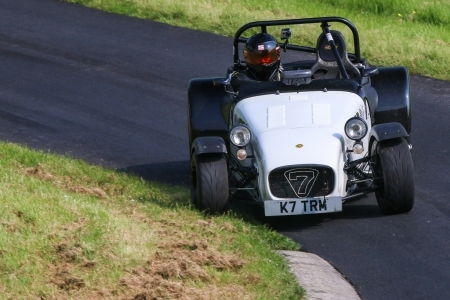 Alongside the British Championship and Leaders Championships, the Lotus 7 Club and the Porsche Club have rounds of their championships and the BARC South West Members have their own class. As ever there will be a Fastest Time of Day but with new cars and drivers this is far too difficult to call. You’ll need to be there to find out! The BARC South West B Licence Class will run first. The class has a variety of cars and drivers. 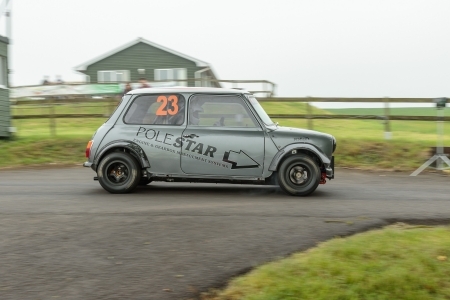 Martin Watson’s Westfield, Richard Wood’s Yamaha Mini, Dean Cubitt’s Mazda MX5, Sarah Fudge’s Impreza and Alex England’s Ford Fiesta are all likely to be in the top five of this class. The Porsche Club’s National Championship Class has an all 911 line-up. The form book says Peter Turnbull or Bob Mortimer will probably be in the top two. But Robert Lancaster-Gaye and his 911 GT2 will be fighting hard. Robert’s recent visit to Gurston’s Drivers School will probably see him right there with Peter and Bob. The MX5 Class runs next. With only two cars in the class Nick Revels, our newly appointed Competition Secretary’s experience will probably pay dividends. 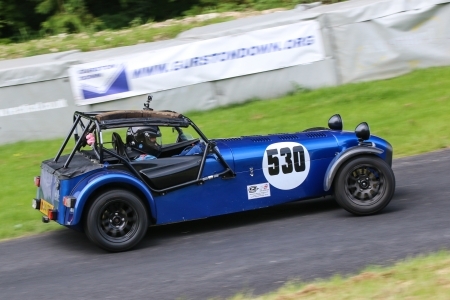 The Road Going Series Production Car Class up to 2000cc has just five cars entered. 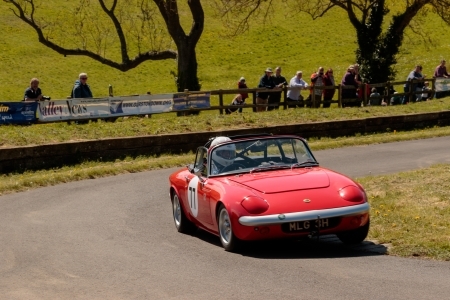 Tim Forster and the gorgeous Lotus Elan will have his work cut out with Steve Harris and his rapid Vauxhall Corsa. But you shouldn’t ever discount Richard Brant and his Clio 172. The over 2000cc Road Going Series Production Car Class, also has just two cars entered. Andrew James returns in the Nissan 350Z GTS but he’ll have to work hard to over-come Shaun Fudge’s revitalised Impreza. The Road Going Specialist Production Car Class has a three car entry. Adrian Lewis and his Westfield Superbusa will have to work for a win. The Over 2000cc Modified Series Production Car Class has former Gurston champion, Simon Purcell in his Lotus Exige up against Geoff Tremlow’s beautiful Subaru Impreza, Tim Painter and Andrew Fraser’s stunning Aston Martin Vantage and Mark Walker’s Porsche. It will probably be between Simon and Geoff for first place, although you can’t discount any of the entrants! The Modified Specialist Production Cars Class, goes next. It could be anyone’s class, Mike Rudge, Anthony Orchard and Simon Jenks will make it a great class to watch. It will depend on who’s on form on the day! As ever there are some beautiful cars entered in the the Historically Interesting Class. 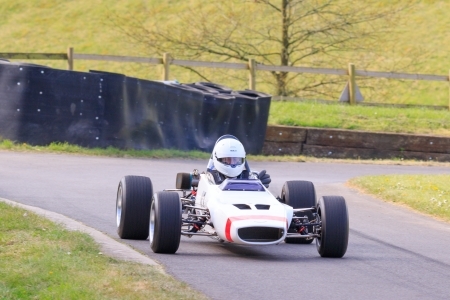 Hopefully, we will see the Chevron B19 of Richard and Amanda George out on the hill. Fyrth Cross and Mike Broome make up this class but “make up” isn’t really the right thing to say. All of the drivers are very capable of taking the class win. 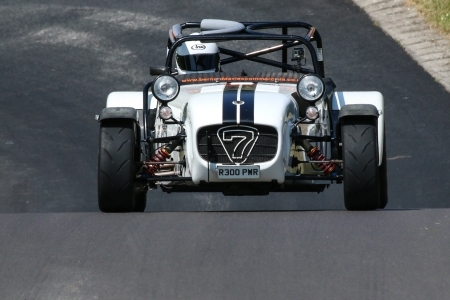 The up to 2000cc Sports Libre Car Class has a large entry. It’s a tough class these days and has some pretty amazing cars entered too. There’s the Maguire Mini of Derek Kessell, Peter Steel’s Mallock, Tim Pitfield’s DJ Firecat and Keith Diggle’s WEV HCS. However, on current form this class will probably be headed up by the supercharged Force LM shared by Jonathan Gates and Peter Sexton. The over 2000cc Sports Libre Car Class has a former Manx Grand Prix winner (on a bike, of course), Allan McDonald and his Mini Evo. 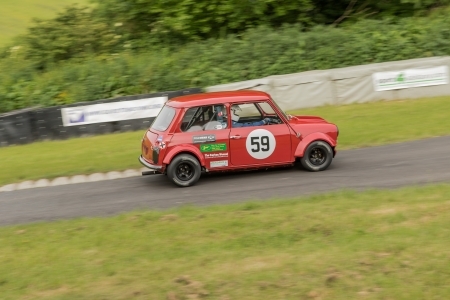 There is a massive entry in the 601 to 1100cc Racing Car Class! There are 26 entrants! Simon Fidoe (Empire Wraith), Darren Gumbley (Force TA Mistral), Steve Owen (OMS 28), Oliver and Liam Cooper (Force HC) and Felix and Lindsay Summers (DJ Firehawk) to name just a few on the competitors who will be fighting for places in the Top Ten Run-Off and Leaders points. Adam and Andy Greenen come back to Gurston with their new Empire Evo 2 a few different car from the Honda Civic they have previously competed in. This class will probably be settled by just hundredths. 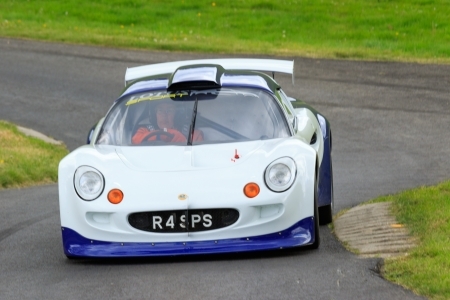 The 1100cc to 1600cc Racing Car Class puts Ed Hollier in his Empire Evo up against Sean Gould and Eynon Price’s Gould GR59 and Richard Spedding’s GWR Raptor and six other drivers! All of them will be looking to qualify for the Run-Off and to maintain their respective standings in the British Championship. 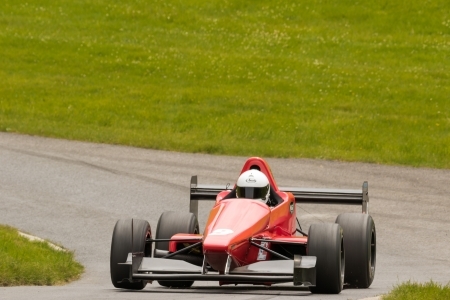 The 1601cc to 2000cc Racing Car Class – Normally Aspirated – has four cars and six drivers competing. 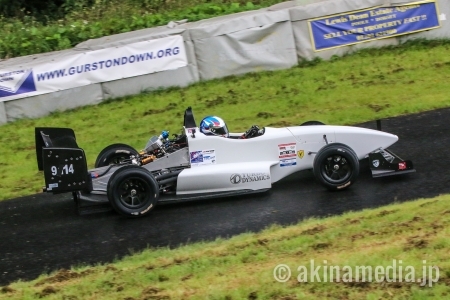 Terry Davis’ OMS has Gurston form as does Tim Elmer (Dallara). This class is pretty open. 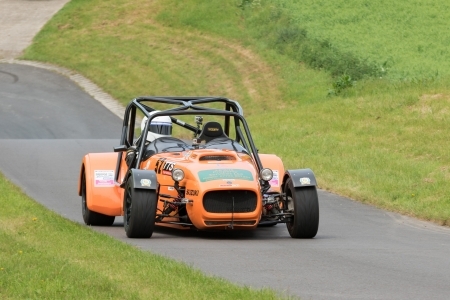 The 1601cc to 2000cc Racing Car Class – Forced Induction – has seven cars entered. Form would suggest that the Gould GR59’s of Paul Haimes and Simon Moyse are likely to be in the top two but hill climbing is unpredictable. The Over 2000cc Racing Car Class is the class that will probably bring the Fastest Time of the Day. There are some new car and driver combinations this season. Wallace Menzies brings his Gould GR59b and Dave Uren and Nicola Menzies have the ex-Wallace Menzies GR55. 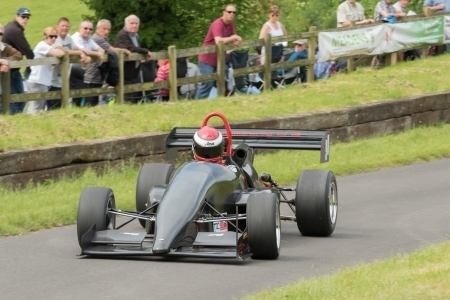 Trevor Willis is currently leading the British Hill Climb Championship so he will be one to watch. But you can’t really discount the current champion Scott Moran (Gould GR61X) or any of the other runners in this class. They will all be looking for Run-off points! Perhaps the Ladies Hill Record is at risk? 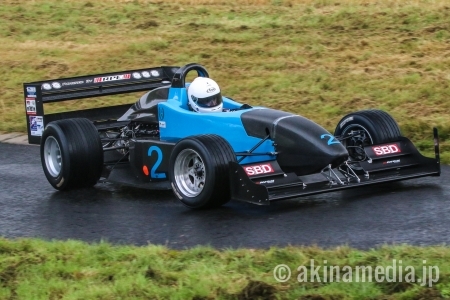 The Formula Ford Class sees the current record holder Simon McBeath, back after some time-off, along with eight other drivers in the class. These cars are so similar, the class is always close. The winner will be decided by hundredths and their performance on the day. 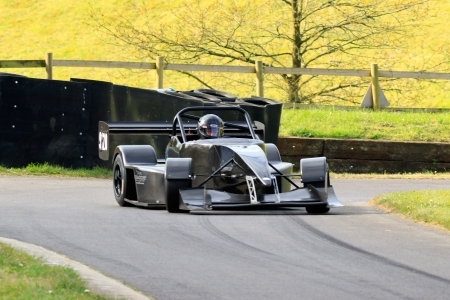 The Lotus 7 Club Championship Class 1 – Cars Up to 125 bhp – has just one entry, Paul Boston. 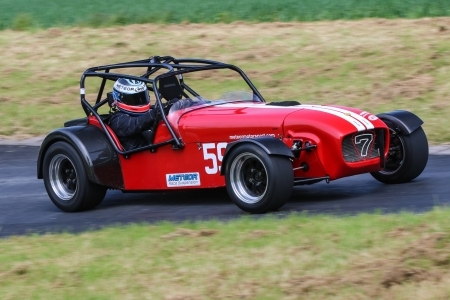 The Lotus 7 Club Championship Class 2 – Cars up to 150 bhp – List 1A Tyres – David Nelson who won the class last year starts favourite but there are five other entries. It is very early in the season. 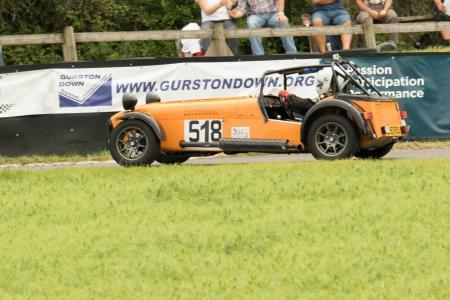 The Lotus 7 Club Championship Class 3 – Cars up to 150 bhp – List 1B Tyres – has seven entrants. This class was decided by just one hundredth of a second last year so you should look forward to some spectacular and close racing. decided this! Daniel Malkin beating Richard Price last time but the top five in this class were separated by just one second. 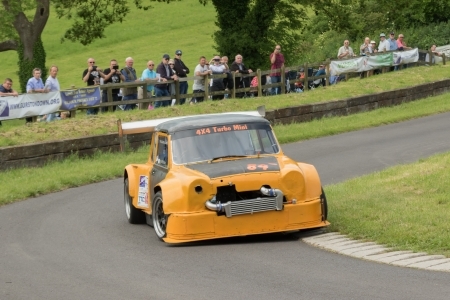 The Lotus 7 Club Championship – Class 4 – Car up to 210 bhp – Jeremy Davis is the only entrant. 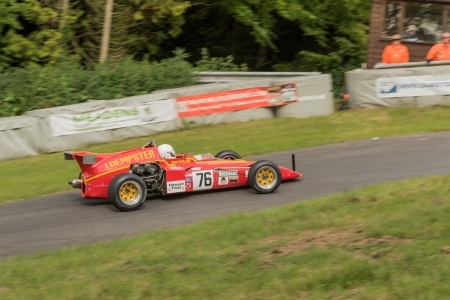 The Lotus 7 Club Championship – Class 6/7 – sees six cars and drivers. 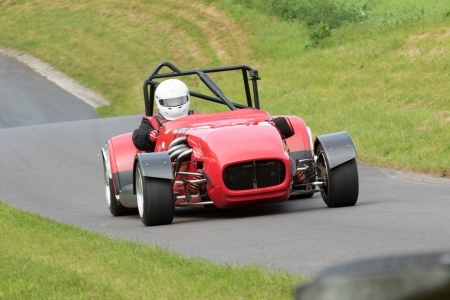 Another exciting weekend of at Gurston Down Speed Hill Climb – Don’t Miss It! Location: 1 mile west of Broad Chalke, 9 miles SW of Salisbury, Wiltshire. Turn off the A354 at Coombe Bissett on the unclassified road to Broad Chalke, follow AA signs. Times: Saturday Practice from 0830 until 1500 approx.Sunday 0830 Final Practice then timed runs from approx 1030, then first timed runs followed by First Top Twelve Run-Off, then lunch and final timed runs from 13:00 Second Top Twelve Run-Off. Admission: £10 for adults Sunday (£6 on Saturday), accompanied under 14s free, free paddock entry, free parking.